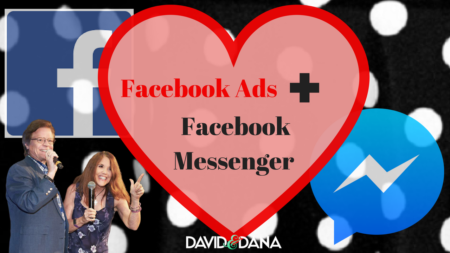 Facebook Ads and Facebook Messenger for Business: A Winning Combo! Home » Social Media Marketing » Leverage Facebook Ads and Facebook Messenger for Your Business: A Winning Combo! The answer is simple – it’s innovative and it’s hiding in plain sight right here under our noses. Combine the power of Facebook ads with Facebook messenger for your business. That’s right, it’s like a jab followed by a right hook, stronger together. What’s So Great About Facebook Messenger for Business? We are all familiar with Facebook Messenger. This is probably your main communication tool, especially if you are building your audience on Facebook. It’s a great choice because there are so many people on Facebook these days. When you message people through Messenger, you are very likely to get a response. It is probably the most efficient method of communication. Let’s take a step back and ask, “Why are people on Facebook?” They are there to (1) be entertained, (2) connect with friends and loved ones, and (3) be educated. Knowing this, you can create engagement with your audience simply by fulfilling one of these needs. But you don’t want one-sided communication. You want response from your audience. 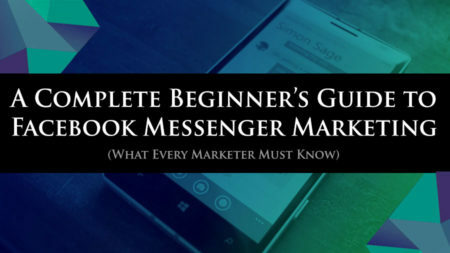 The FB Messenger app becomes a critical part of your marketing strategy because you will utilize it to reach and communicate with your audience. Did you know the open rate of Messenger messages is way higher than that of email opens? Think of your own email inbox for a moment. Do you open every email you receive? Why not? If you don’t open all your emails, isn’t it safe to assume others (your prospects) are not opening all their mail either? It could be because you receive a lot of emails. Your inbox is overflowing. How do you decide what emails warrant your attention? Your prospects are the same. Your emails to them must be pretty special, or you must have built a great rapport with them, or your communication will go unread. But with the FB Messenger app, you undoubtedly see your messages on your phone, and/or they will pop up on your computer screen. Since you are already in Facebook regularly, you are more likely to respond. Messages in messenger aren’t long drawn out sagas either, like many emails can be. They are quick and easy to read. People want to see what they want in seconds, by scrolling and scanning. Did you know Facebook Messenger can be automated? 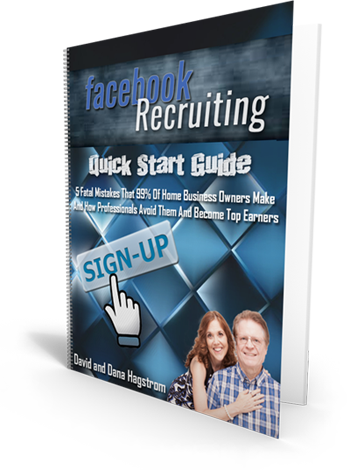 This is the leverage KEY to using Facebook for business marketing. If most people are on Facebook, you have already done a great thing by being where your people are. If your mouth isn’t open, your store is closed, too. Start conversations. When you can automate these conversations, capture people’s contact information and their permission to provide requested information – it is a beautiful thing. Your Messenger conversations should lead you to sales and sign ups faster than some conventional ways. Why? Because the conversations don’t easily die. The platform is easy and safe to use. You don’t have to leave the comfort of your home or talk live and/or face to face … for many a step outside their comfort zones. When you automate the beginning portion of these conversations, it takes a lot of the heavy lifting off your shoulders. Your prospects receive the materials they have requested, automatically. You can be sleeping or living your life, and messenger automation has done the work for you. You’ve heard people say that your “list” is your property that can never be taken from you. Building a list of people who follow you, listen to you, and buy from you is critical to your business. With automating Facebook Messenger for your business you will be creating a list of people you wouldn’t otherwise have. Sure, you can ask for their emails and permission to add them to your traditional email list, but you also have them right where you want them, in messenger where they are more likely to read your stuff. So What’s So Great About Facebook Ads? Once you have an audience that you’re engaging with, the time is ripe to start doing your Facebook business marketing with the assistance of Facebook Ads. 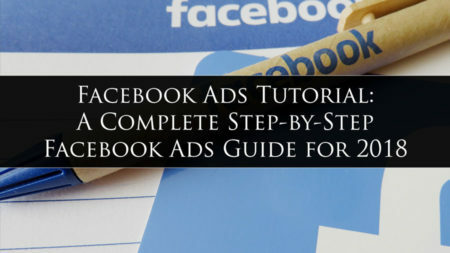 At first, Facebook ads can be daunting. The return is so worth the time you’ll spend researching “how to” before posting some ads. Remember you can only do Facebook Ads from your business or fan page. You cannot place Facebook ads from your personal profile. That may be the first step you need to make – create a Facebook business page. 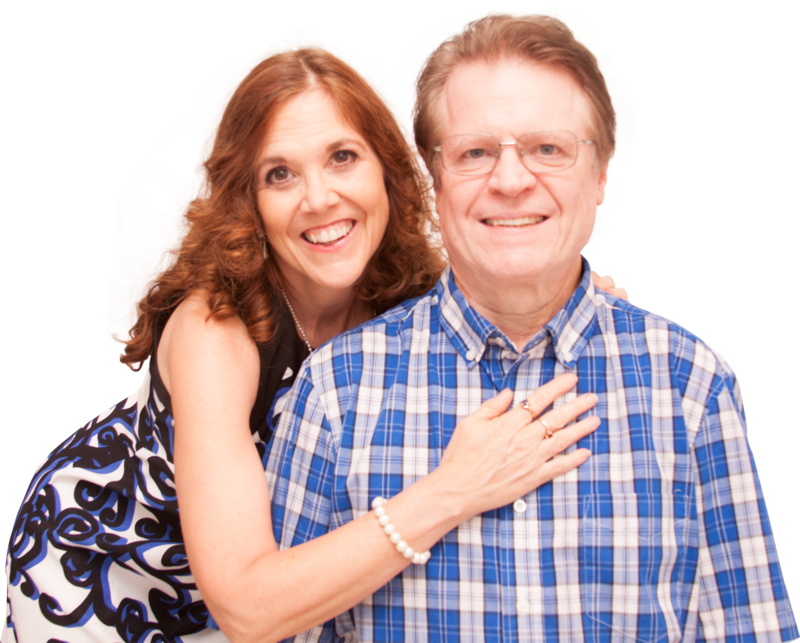 We were skeptical of Facebook Ads for the longest time, hesitant to spend more money on our business start-up. After all, we still hadn’t seen a profit over all of the other things we had tried without success. Our first ads did not convert at all, and we were nearly ready to throw in the towel. It’s hard to watch money just flow out of your bank account. But we perservered. Much of what is taught in the tutorial about Facebook Ads, as well as other resources referenced therein, has yielded us amazing results so far. We are getting more and more leads everyday from this targeted ad. Each day, our ad spend average is getting lower and lower. The people this ad is attracting need our help and are looking for a solution. There is nothing more rewarding than being able to provide a solution to somebody’s problem. Facebook Ads have opened a whole new dimension for us and our business. How Do I Leverage Facebook Ads and Connect them with Facebook Messenger? 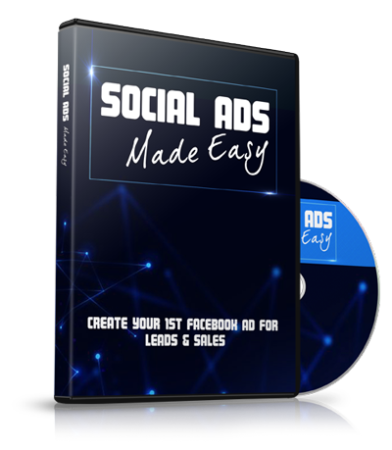 We are delighted to offer a fantastic resource to help your business entitled Social Ads Made Easy. Follow this simple 3-step formula to create a Facebook engagement ad yielding leads and sales for your business. Connect it with Facebook Messenger for even greater automation. Do you want some of those in the next 24 hours? Check this out and learn how to instantly get prospects to talk to who are interested in your products or services. That’s the name of the game, isn’t it? Imagine having people to talk to who want what you have to offer. Facebook ads will help you zoom in on those folks. They’ll come crawling out of the woodwork and into your life. They will be hungry to hear what you have to offer. That’s a beautiful thing. So, step outside of your comfort zone. Take a look at the resources we have recommended here and start moving your business to the next level. When Facebook Ads meet Facebook Messenger for your business, you will see your business transformation begin.